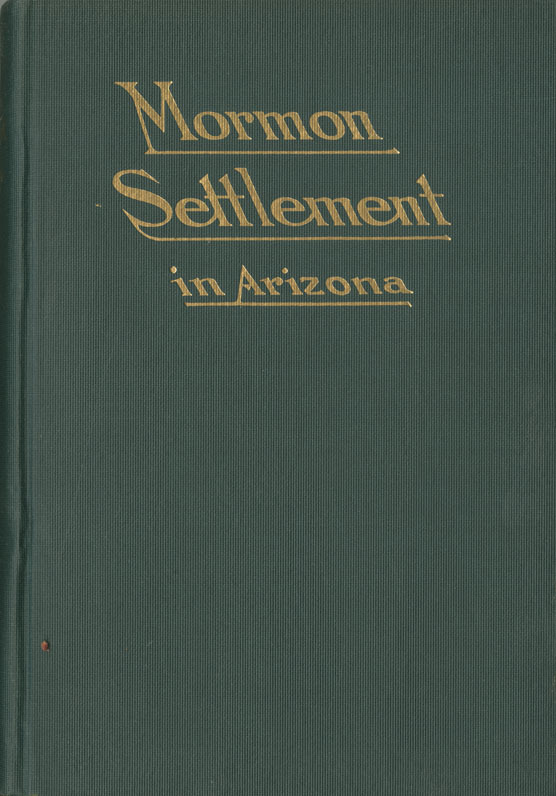 McClintock, James H , “Mormon Settlement in Arizona: A Record of Peaceful Conquest of the Desert ,” Arizona 100: Essential Books for the Centennial, accessed April 21, 2019, http://speccoll.library.arizona.edu/online-exhibits-dynamic/az100/items/show/280. 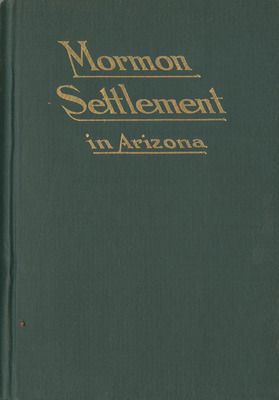 State historian (1919-1928) and the author of the three-volume Arizona: The Youngest State (1916), McClintock performed a rare and enduring service with the publication of this detailed and well-written history of the important contributions of Mormon pioneers in the settlement and agricultural development of Arizona. 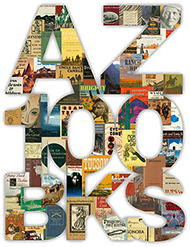 Writing barely thirty years after Mormons were persecuted and disenfranchised, McClintock presents a balanced, even admiring, chronicle of thrifty, hard-working men and women who carved prosperous farms and communities out of the harsh desert landscape. Bruce J. Dinges. Phoenix : Manufacturing Stationers, 1921.
xi, 307 p. front., plates, ports., maps (1 fold.) 22 cm.